Right now my body is asking for hot soup, spicy green juice and rest. My mind is aching for stillness. My soul is wanting to drink in the ocean. My creativity is craving playtime with watercolor crayons. My heart wants snuggles with my growing-up-so-fast little girl. 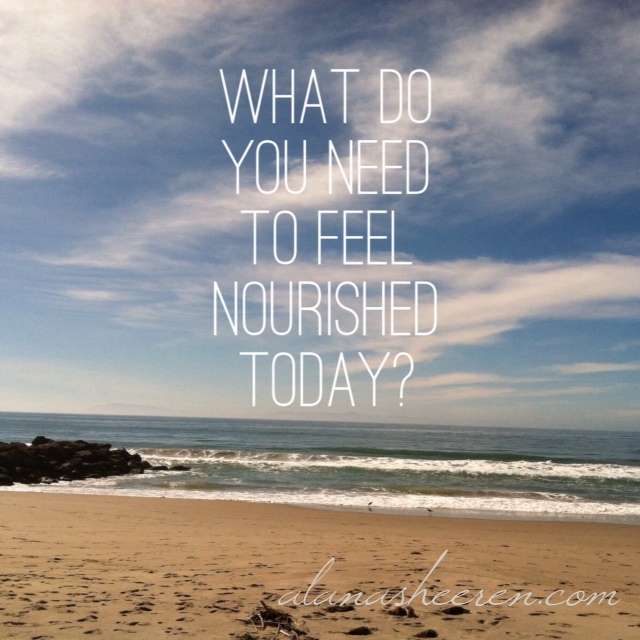 How do you nourish yourself? Your body, your mind, your soul? Take one minute right now. Pause. Breathe. Listen. 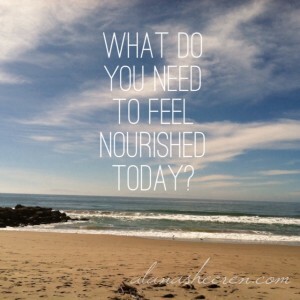 What do you need to feel nourished? It’s okay if you can’t have it right this second, or even at all. Sit with the need and the feelings that come up. There’s wisdom and beauty right there. P.S. Shine starts next week. I won’t offer it again until fall, or perhaps next year. This little e-course is a life-changer. Join us.